For most of my life I never worried what was in the food I’d eat. I just assumed it was safe and good for me. Cheese should come in powder, right? And baked goods are supposed to last forever, aren’t they? As I’ve gotten older, I’ve started reading the list of ingredients on things before I buy them. If they’re too weird, too plentiful, or things I can’t pronounce, I skip the item. Now I get to sound like a hypocrite. I know. It sounds like a Star Wars character or the G-rated words that might come out of a man’s mouth after he takes a 50-mile-per-hour red-laced ball to his pitcher’s mound. 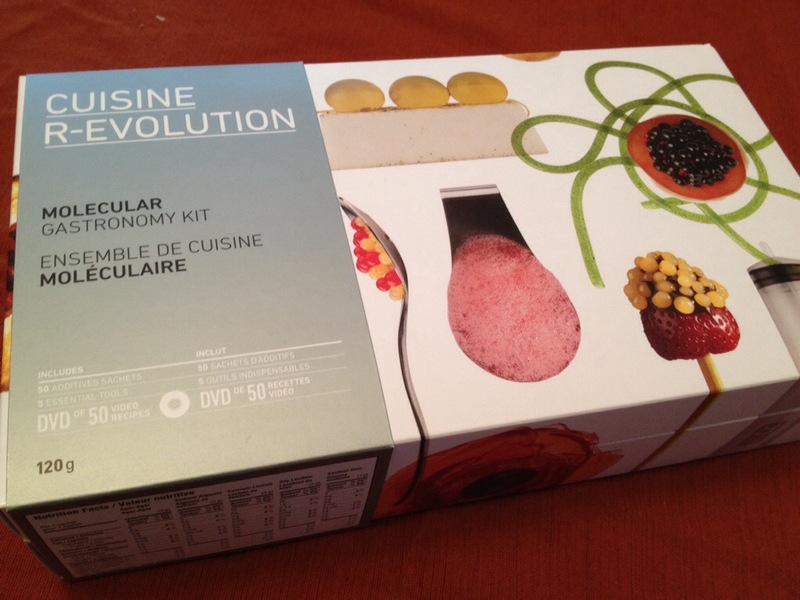 I’d heard about it before, but came face-to-face with it when I ordered a molecular gastronomy kit from an on-line deal site. 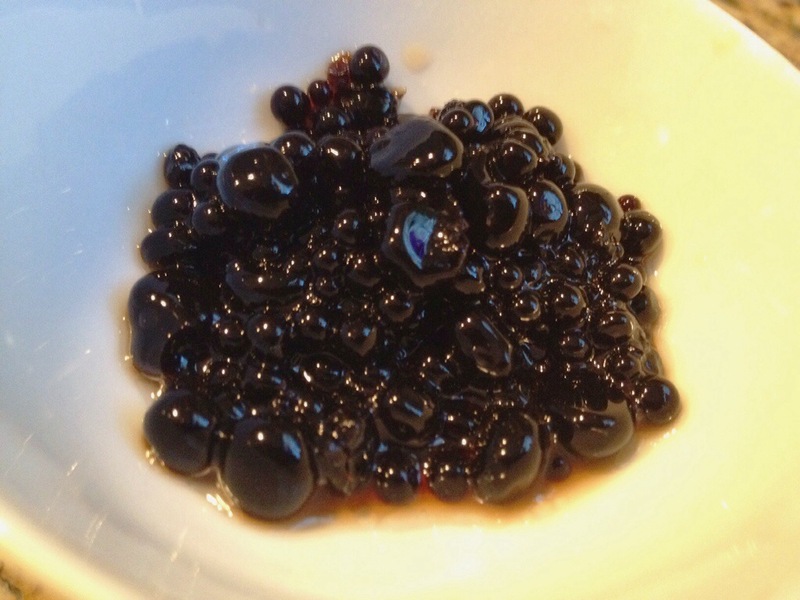 For a while molecular gastronomy was all the rage. Fancy chefs were using these additives to make foods into weird shapes and textures. I thought it sounded fun. The kit I got was filled with all sorts of goodies and tools. My biggest complaint was that it came with a recipe DVD. My kitchen does not look out at my TV. So I’d have to run back and forth, or write it all down. The only problem is that the how-to guides are very visual and are only effective if you can see them in action. I think the most useful additive is the agar agar. It’s known as Japanese gelatin. Basically, it’s a thickener. The good news is that it’s a perk for people who don’t want to use gelatin because of its connection to animals. Agar Agar is made from algae. In Malay-Indonesian culture, the name means jelly. It’s often found in flake-form, which means it was freeze-dried and then flaked. 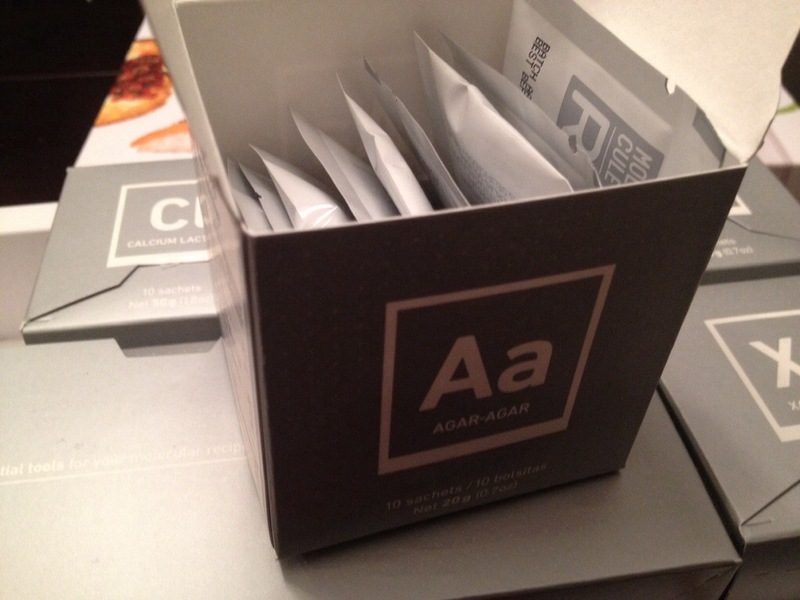 My kit came with powder. 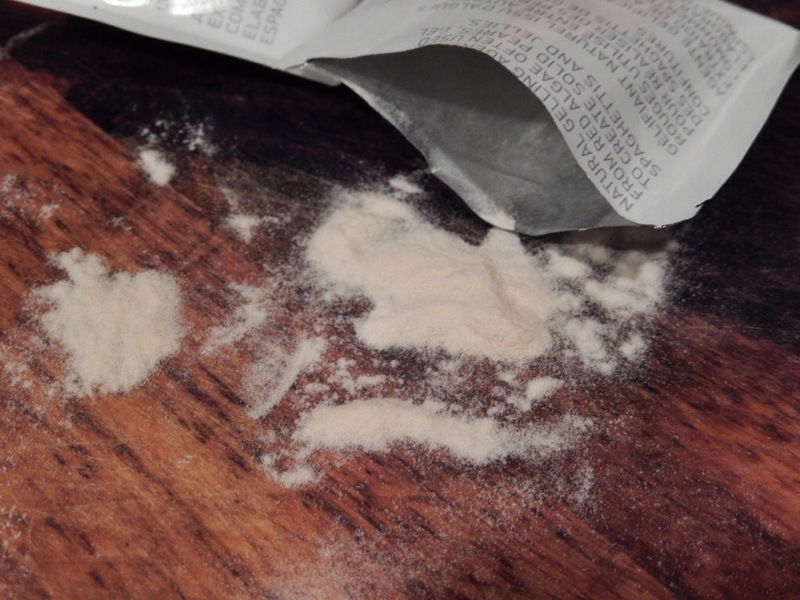 From what I’ve read, the powder form can sometimes be created with chemicals. I’m not sure if that’s how mine was created, but I’d suggest buying the flakes. You can find them on-line, and they’re not really that expensive. Agar agar needs heat to work its magic. It turns into gel at room temperature, but you should store whatever you make in the refrigerator. It’s made up of 80% fiber. It has no flavor, and is said to amplify the flavor of whatever it thickens. The more agar agar you use, the harder and thicker the gel gets. 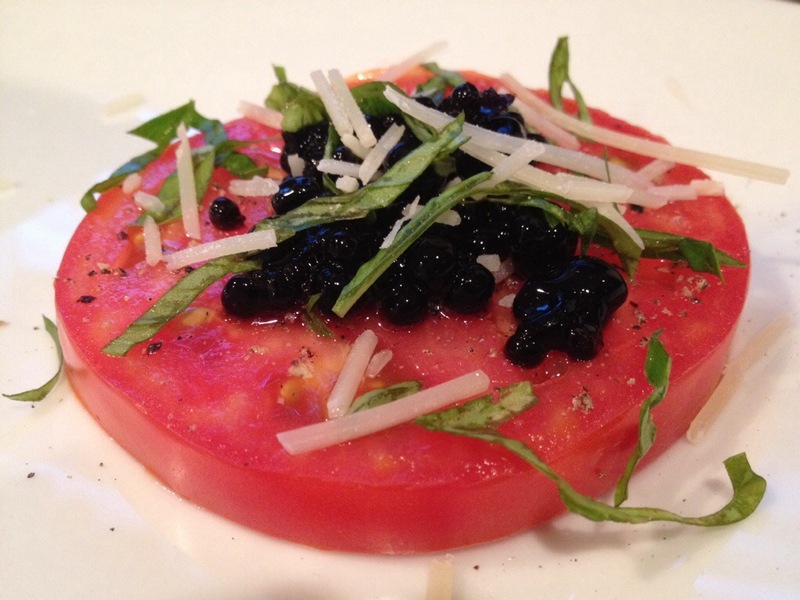 At first, I followed the recipe that came with my kit: balsamic pearls. But it takes a good bit of work. 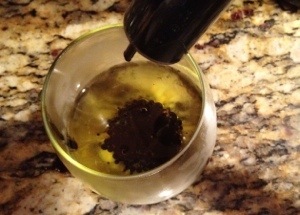 Mix the vinegar with agar agar, cook it, then use an eye dropper to drop little pearls into the icy cold oil. Then, you have to fish out the pearls. But to be more practical, I went my own way, and used agar agar to make my own kind of jam. It turned out more like a spread which I liked. My first batch was a strawberry spread. 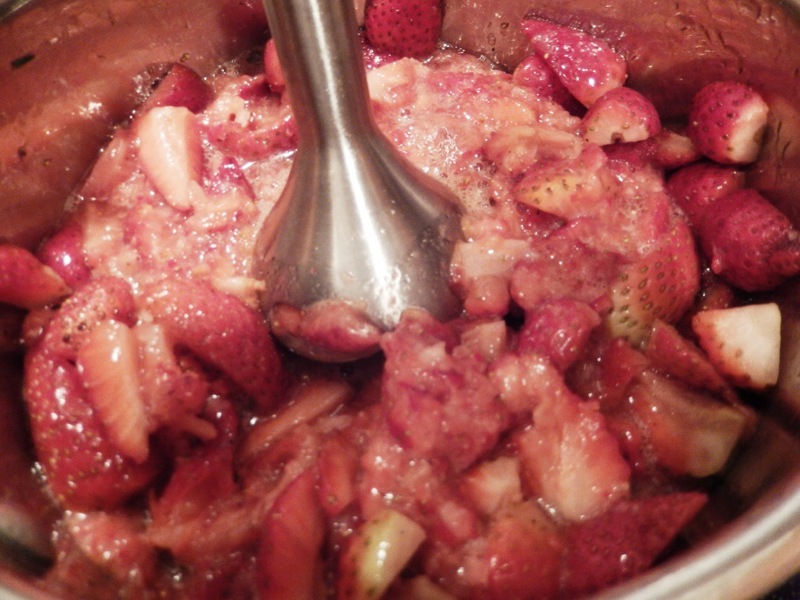 In a pan over medium-high heat, add the berries, the honey, the pepper, and the vinegar. Stir. 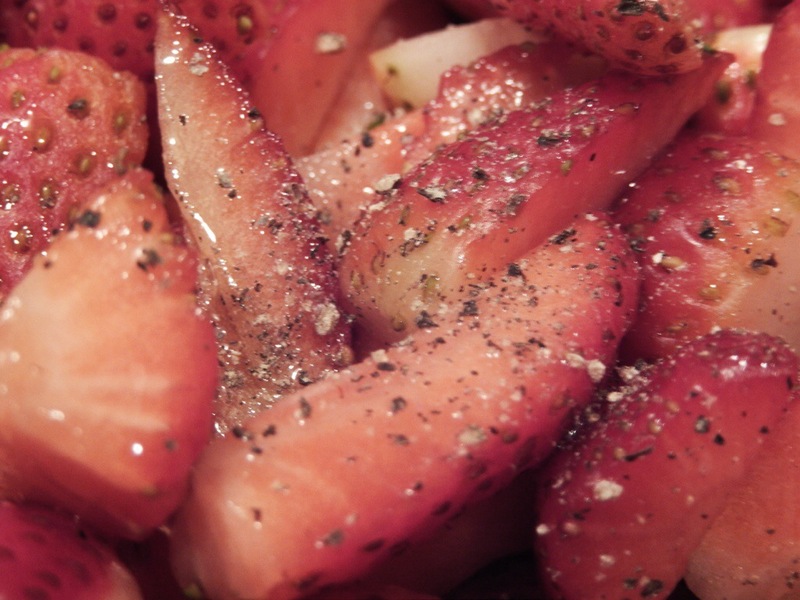 The pepper and the vinegar just add a little something extra. They don’t mess with the flavor of the berries, they bring it out. 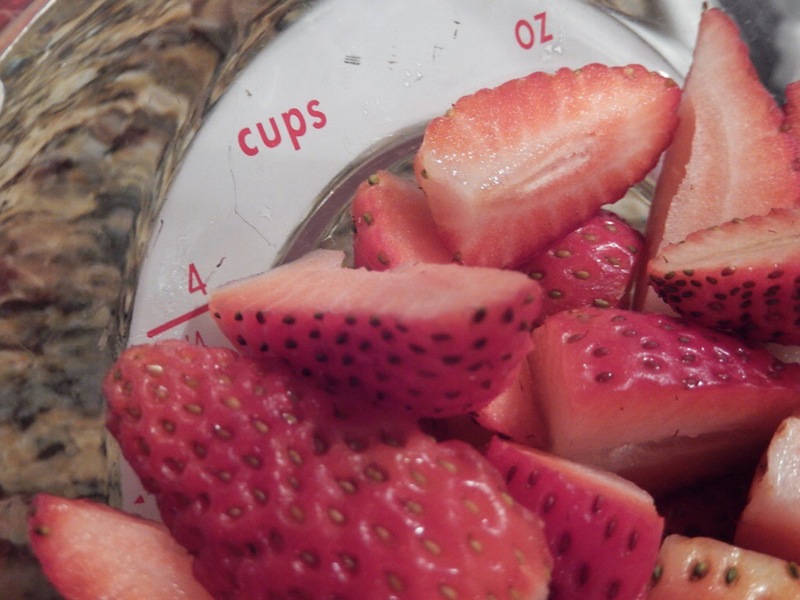 If your berries are really ripe or were frozen, they’ll probably start to break down on their own. Mine were pretty firm, so I used an emersion blender to puree the mixture. You can also mash it. When it’s pureed, add the agar agar, and stir. Bring to a boil, and boil for 4 minutes. The mixture will still be liquidy. Don’t worry. 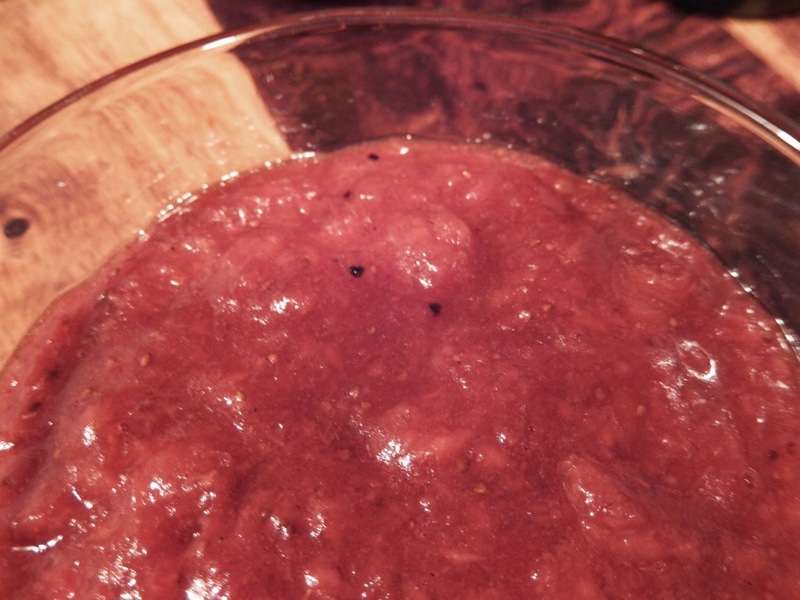 Pour it into heat-safe dishes and refrigerate. It’ll fully thicken within an hour. 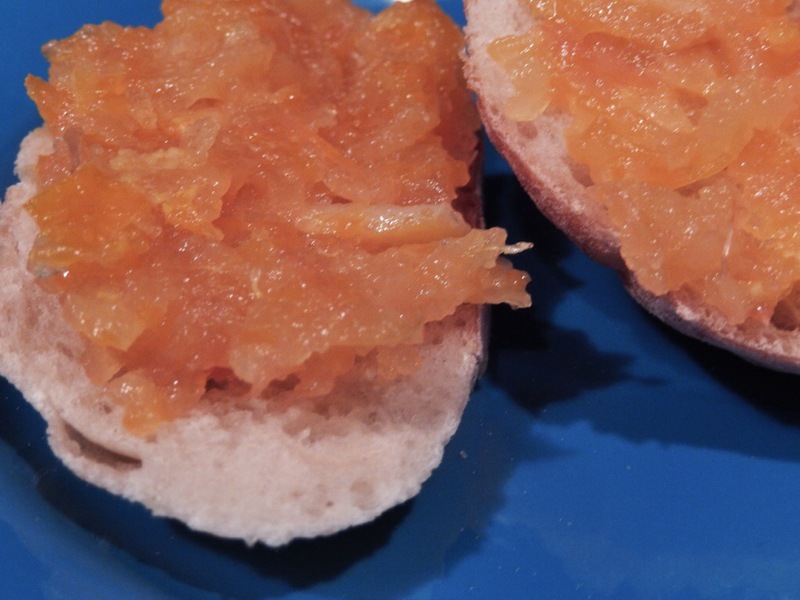 For my second batch, I made orange marmalade. 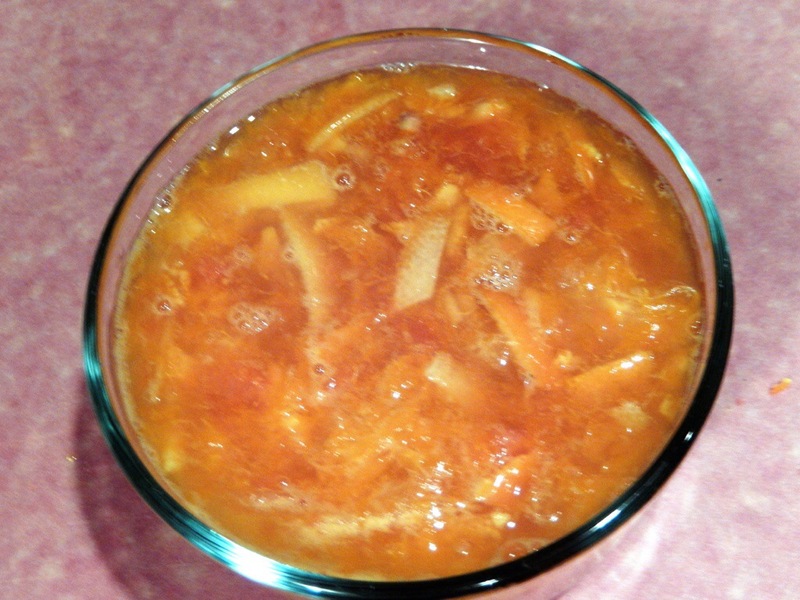 Marmalade doesn’t usually require a thickener, like pectin. 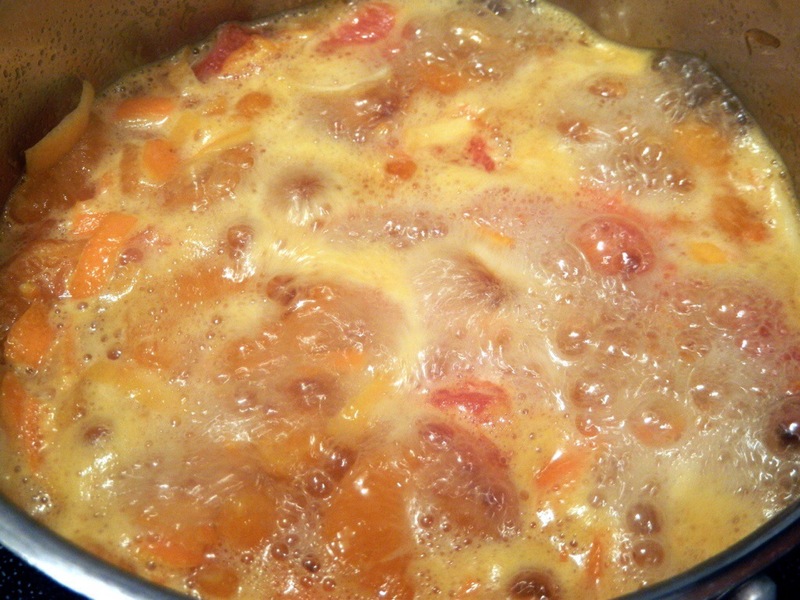 The pectin in the peel (which is a staple in marmalade) is what thickens it. The problem is that you have to let it cook, put a plate in the fridge, then drop some of the marmalade on it and see if it’s thick enough. That sounds like a pain to me! 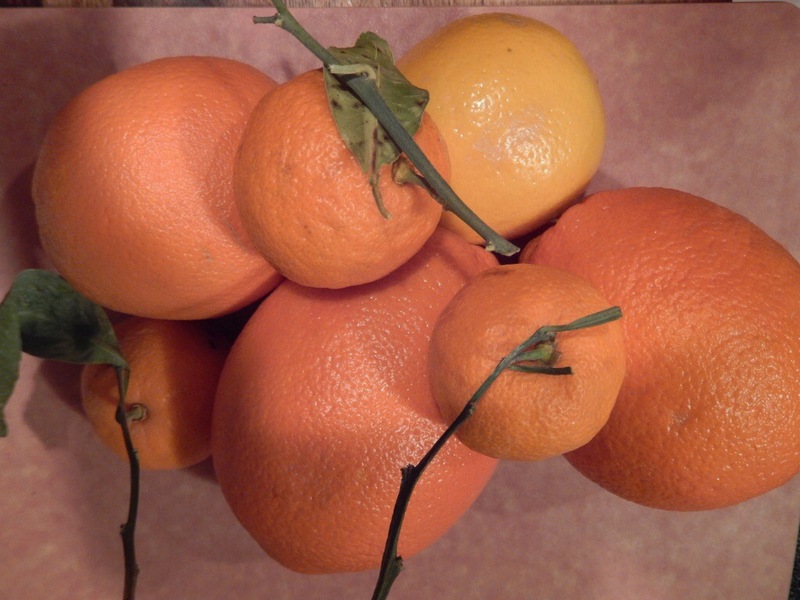 Cut the ends off the mandarin oranges and the lemon. Then shave down the sides to get the zest, but not much of the white pith. 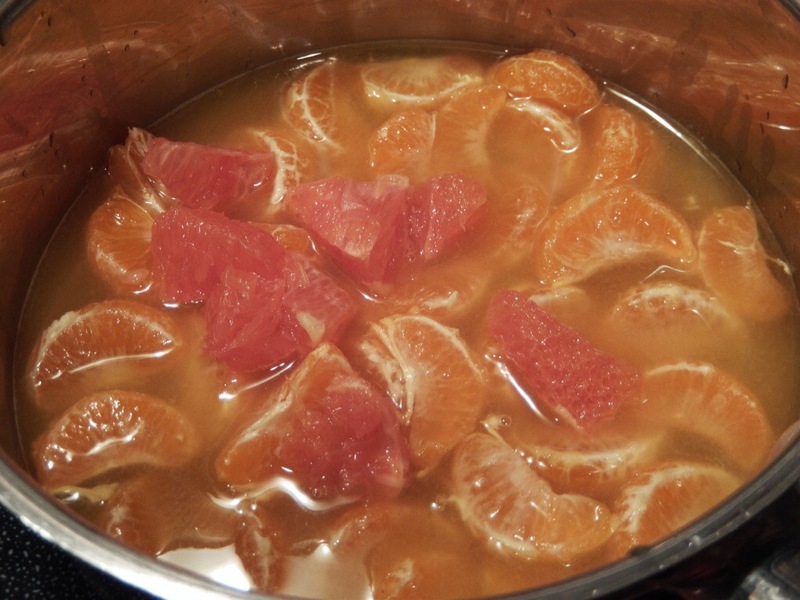 In a sauce pan over medium-high heat, add the orange juice, the juice from the lemon, and the mandarin orange fruit (not the peel, yet), and the fruit of the remaining half of the orange that you used for juice. 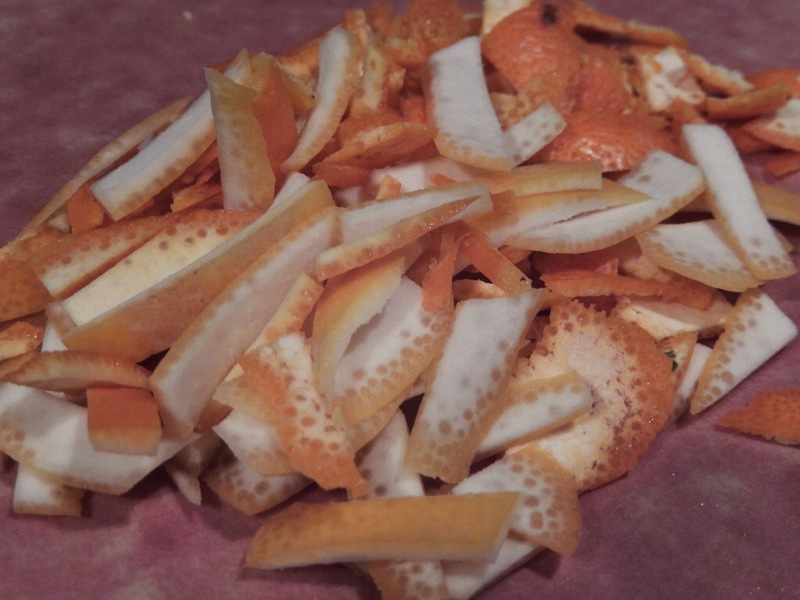 Slice and chop up the mandarin orange and lemon peel. 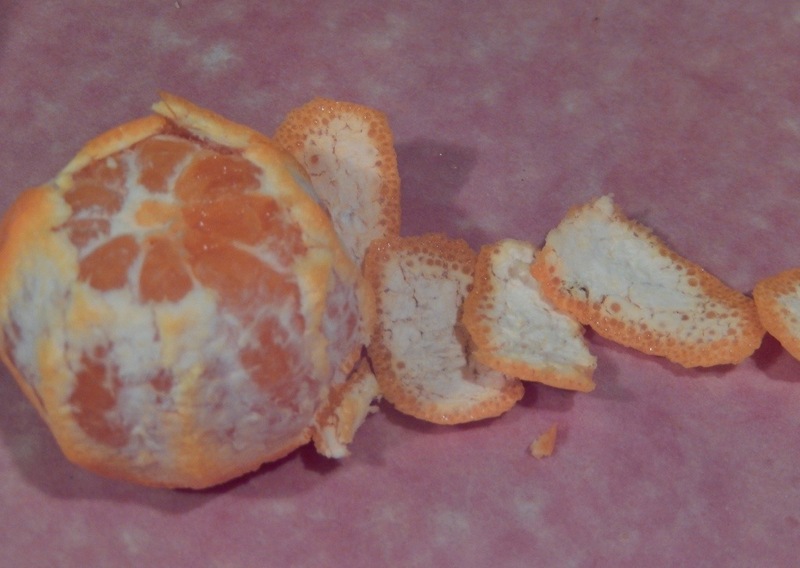 Get them relatively small, because this doesn’t cook long enough to break down big pieces of peel. Add to the pot. Stir. Add the agar agar. Bring to a boil, and let it bubble for 3 minutes. 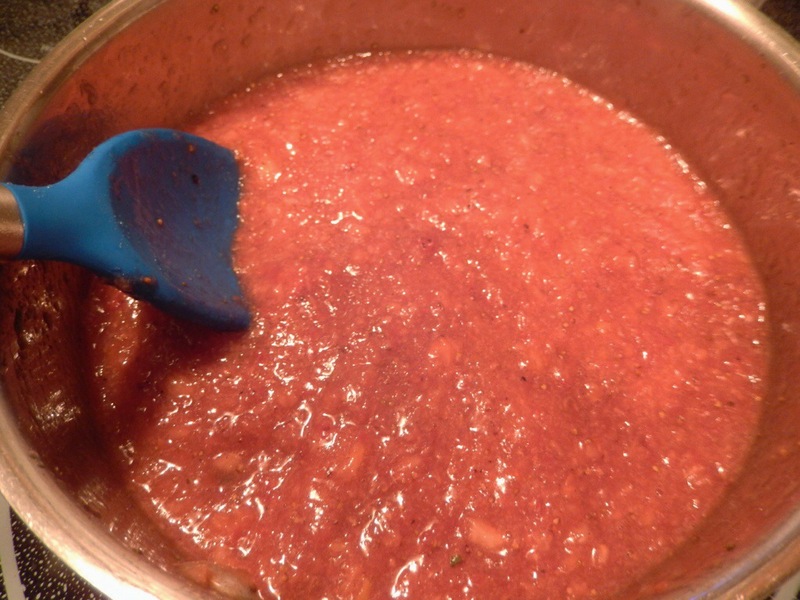 Pour into a heat-safe dish and refrigerate for about an hour. 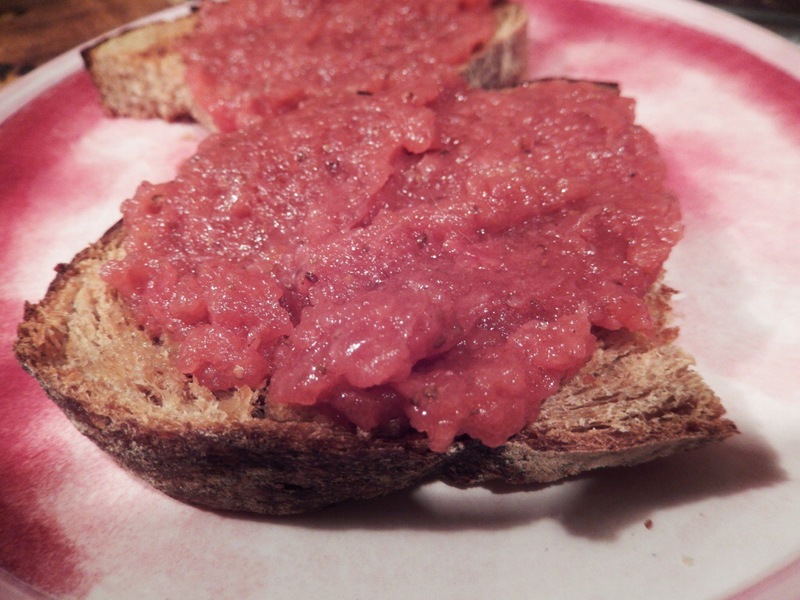 These spreads aren’t runny and goopy like jam. They coat a piece of toast perfectly. 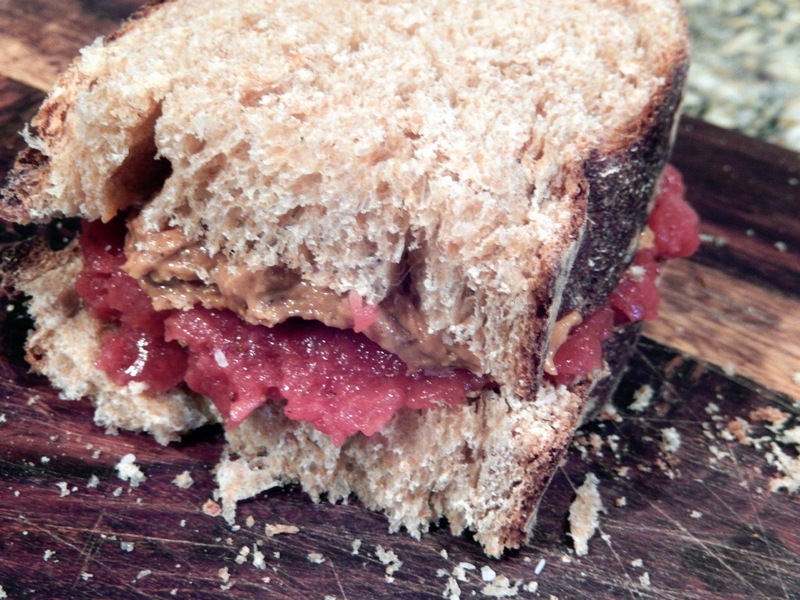 I even made a peanut butter and jelly sandwich with the strawberry spread. My main argument for agar agar vs. pectin in a jelly, jam or spread is agar agar’s ability to amplify the flavor of what it’s thickening. Pectin doesn’t do that, so pectin-based fruit concoctions will require more sweetener (namely sugar). This is your chance to be a mad scientist and not just a messy cook! Take it, and run! Tip: Add just a bit of butter to your toast before adding the jelly. It makes all the difference. Make sure it’s salted butter. And if you need a scientific reason, beside the fact that it just tastes better, fat will help slow the absorption of sugar into your bloodstream. So there.